All sorts of fun information on the iPhone 7 dropped Wednesday at the 2016 Apple Event. 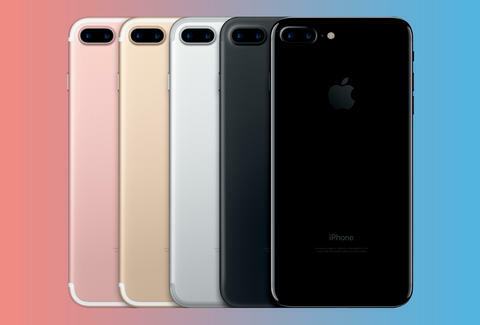 Among the announcements about an astoundingly complex camera, improved battery life, and long-awaited water resistance came the biggest upgrade to the iPhone 7 imaginable: a new color. OK, that's hyperbolic, and honestly, who uses a phone without a case? But since this stuff matters enough to drive sales, we've gotten a shiny (literally) new addition to the palette: Jet Black. If you're viewing this article on mobile: don't adjust your contrast. Also, welcome to the mobile-phone-image-on-a-mobile-phone vortex. Two new colors, Black and Jet Black, replace the tried-and-"meh" Space Gray, which was kinda black, but not really. Jet Black is the glossier of the two colors and the one that's sure to show every single one of your greasy fingerprints. Black is, well, black, and the more muted and matte, similar to Space Gray. But it's Black, not gray. As Apple CEO Tim Cook explained in the live keynote broadcast, users have long clamored for "Rose Gold in the streets, but Jet Black in the sheets." Actually, that last part is made up, but the new iPhone 7 and 7 Plus are available for pre-order as of Sep. 9, with sales beginning Sep. 16. 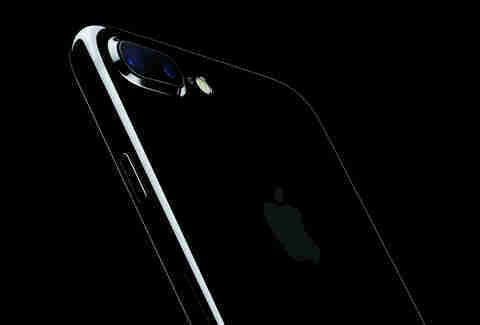 Jet black is the newest color since the 2015 addition of Rose Gold to the lineup of iPhone 6S and 6S Plus. Ryan Craggs is Thrillist's Senior News Editor. He has a Space Gray iPhone 6S. RIP Space Gray. Follow him @ryanrcraggs.